Jaswinder Kaur has over 20 years of executive experience in global partnerships, entrepreneurship development, SME financing, and private fund management, with specialization in the sustainability, education and the ICT sectors. With her experience playing key roles in the development of clean energy markets and working with investors in sustainable technologies across the globe, Jaswinder advises farmNXT Inc with respect to its involvement in the green/sustainability sector. In 2000 Jaswinder co-founded Venture Coaches LLC in Ottawa, Canada, where she played a key role in business development and investment responsibilities. Since then, she has led organizations in Asia, such as the Indian Venture Capital Association (IVCA) and the Cleantech Group in Delhi, India, where she played key roles in monitoring the development of clean energy markets, public policy and entrepreneurship creation. Jaswinder has worked alongside a global network of investors in sustainable technologies and start-up ventures, in addition to international clients to facilitate market entry/expansion in emerging markets. 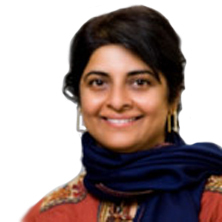 She has worked with public institutions in the development of policies around renewable energy and entrepreneurship creation, also serving as an advisor to several industry organizations, such as UNIDO (United Nations Industrial Development Organization), the Canadian Venture Capital Association (CVCA) and The Indus Entrepreneur (TiE). Currently she is Vice-President, Emerging Markets for Kivuto Solutions, a leading provider of advanced digital distribution and management solutions to over 60,000 academic institutions in 195 countries. Jaswinder has an MBA from the University of Ottawa, Canada and a BA (Honours) from Carleton University, Ottawa, Canada. She is also a graduate of the Frankfurt Business School with specialization on climate change finance.